How to resend an invite to an employee? 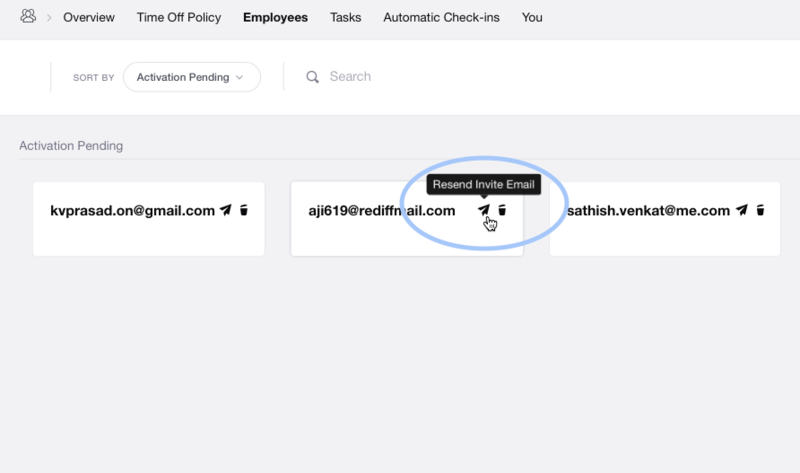 If the invited user's email address is under TeamWave registered domain, an employee profile will be created automatically in your organisation's employee list. 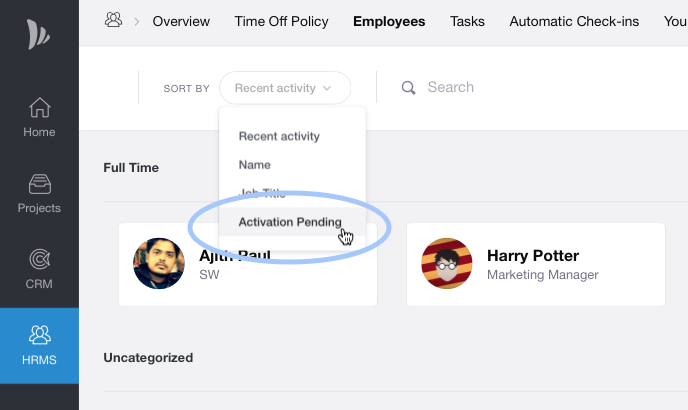 In this case, that employee won't be seen in Activation Pending list. So, it is not possible to resend invitation for employees with email domain under TeamWave registered domain. They can signup on TeamWave using Forgot Password link.